Try this: to your corporate Christmas gift baskets, just add an Arbutus wood handcrafted pate knife, spreader, keychain or a letter opener and you will have an instant hit! Having a handcrafted wood gift makes corporate gifts for Christmas so very special. It adds a personal touch and a sense of uniqueness to the jars and crackers and treats - and a wood pate knife or wooden spreader sure is a natural for your business Christmas gifts. Just think how excited your clients or employees will be to receive something handmade and highly functional at the same time. And each one will be completely unique and special. 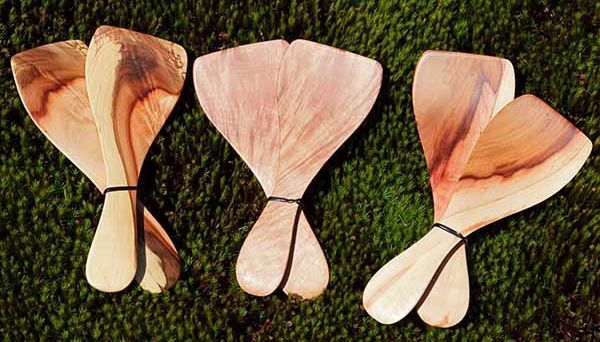 Imagine a wooden spreader in your corporate Christmas gift basket! Do you think it will add a unique dimension to it? It sure will. There is something so natural and tactile about a wood pate knife or spreader that people just love! The wood is so smooth, the shapes so inviting that your guests and clients will be simply delighted. 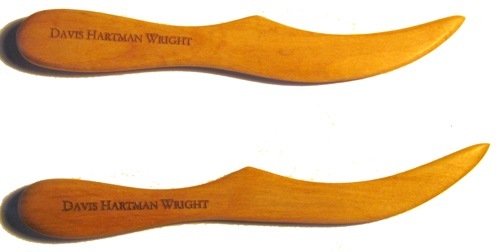 Go to this page to read more about my wooden spreaders. Now here is another great idea for your baskets: a wooden letter opener. This will endure long after the food is gone and will be a cherished gift for years. 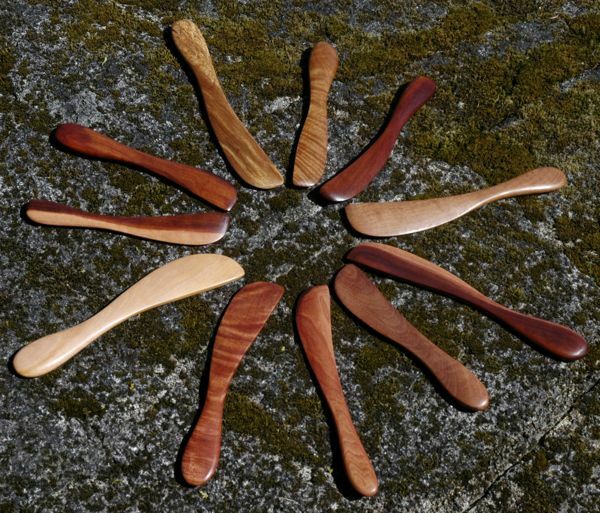 Take a look at this page of wooden letter openers. Did you notice the engraving? Yes we can do that for you too! You can even add your logo as well. If it is digital it can be done. Now that will make your business Christmas gifts stand out from the crowd. These engraved letter openers will stick around a long time! 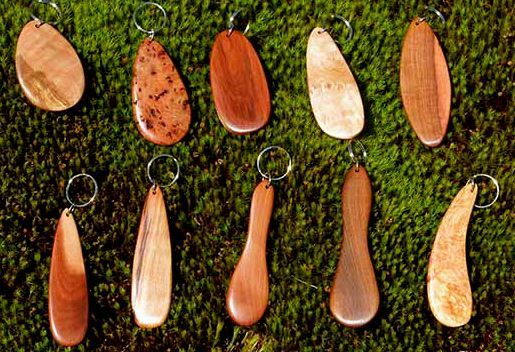 Guaranteed to be used every day, a wooden keychain will keep your company front and center. Add some engraving and it will make a statement! Look at these gorgeous pieces below. Everyone will get a special gift with no two exactly alike. These will be appreciated for sure. wood salad hands are fun to use and these beauties will stand out for sure! All contents COPYRIGHT © 2014 by ArbutusArts.com. All rights reserved. You may copy content from this site only if you provide a link back to the site.